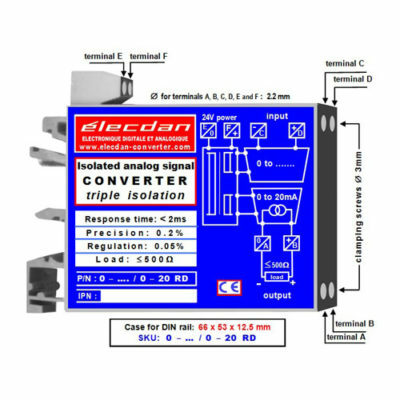 In industrial settings, analog signals resulting from the measurement of physical data (temperature, weight, pressure, frequency, etc.) 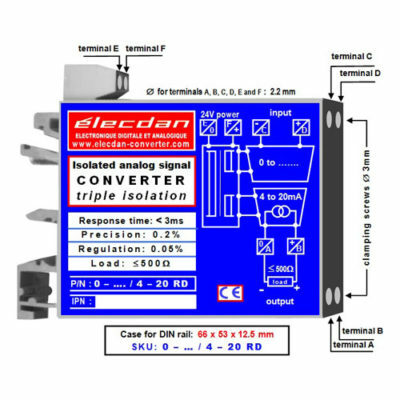 must be isolated from interference voltages and unevenly referenced grounds. 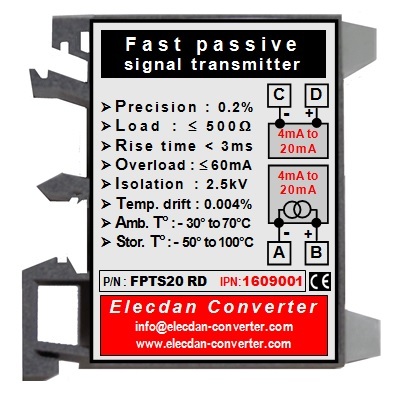 Our passive transmitter, galvanic isolator, isolated quadrupor, solves these problems. 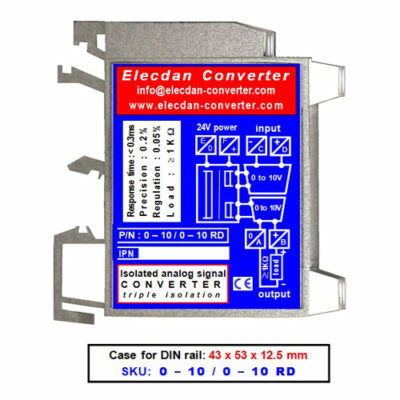 Very easy to use, this link for your control loop does not require any external power supply, nor any adjustment. In order to ease the possible fine-tuning between sensor and actuator, this “4 to 20mA” transmitter can operate outside its normal range, from 2mA to 60mA, while maintaining its accuracy.